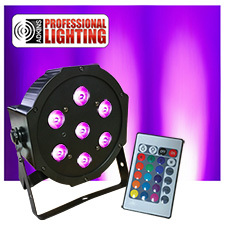 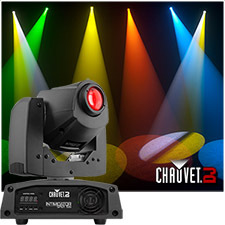 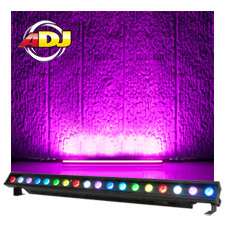 1/2 Price Sale on Dj Lighting, Stage Lighting, Disco Lights, Led Lights and DJ lights. 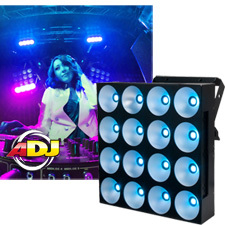 Although a DJ's primary focus is on the music and entertaining the audience, the DJ Lighting is an important addition to the deejay’s repertoire. 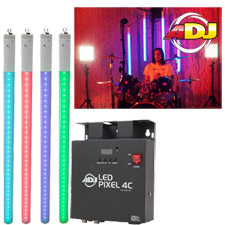 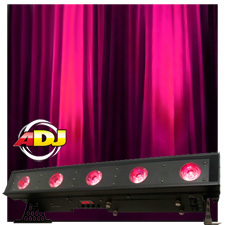 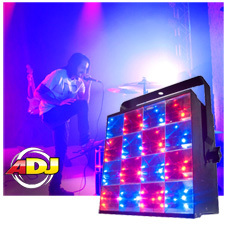 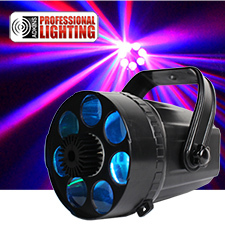 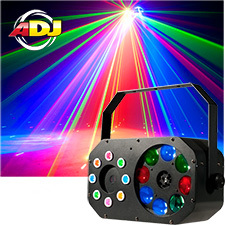 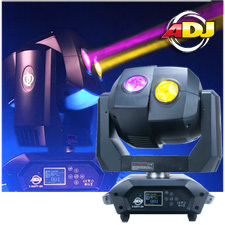 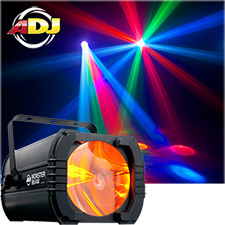 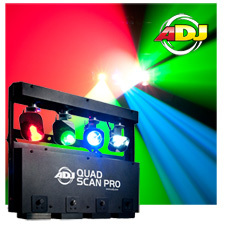 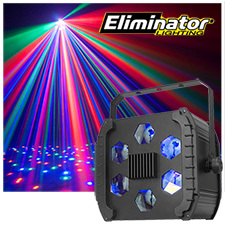 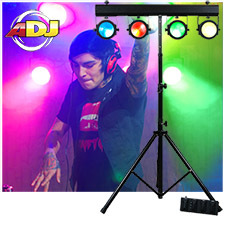 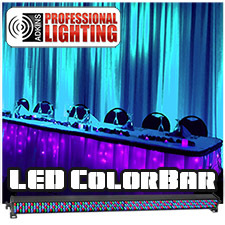 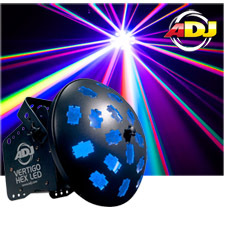 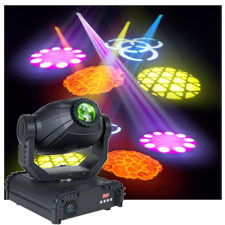 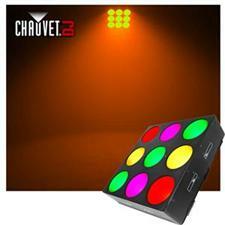 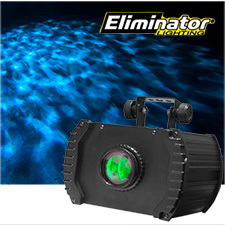 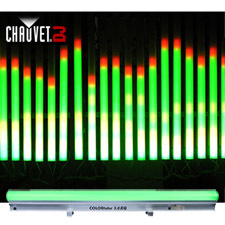 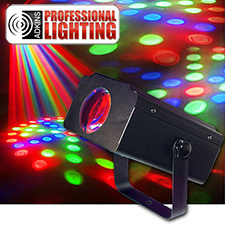 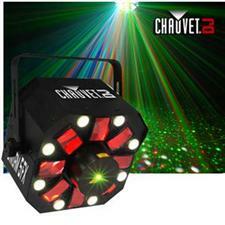 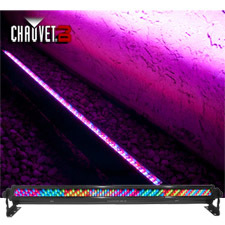 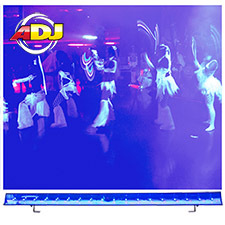 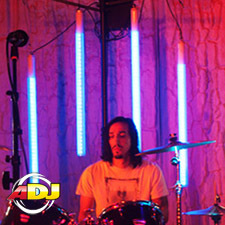 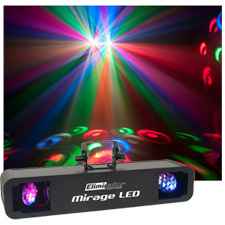 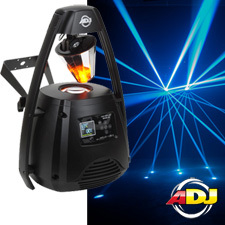 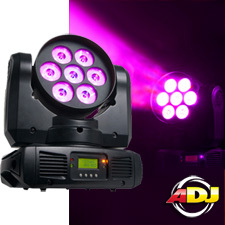 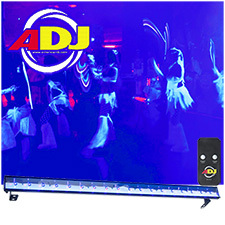 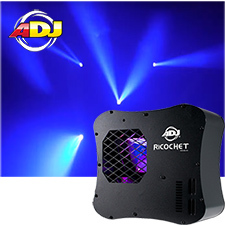 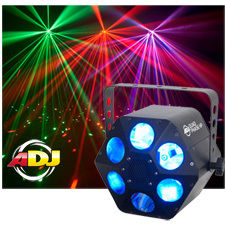 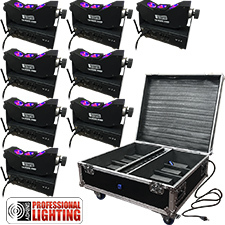 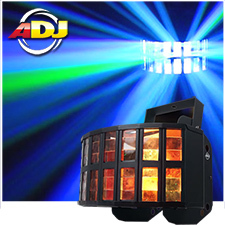 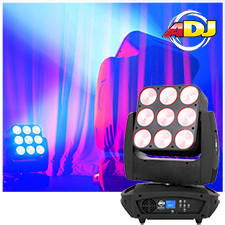 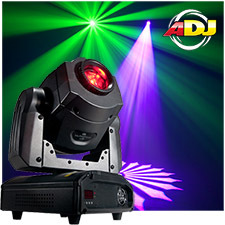 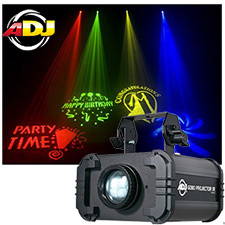 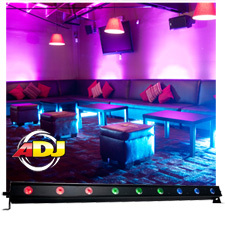 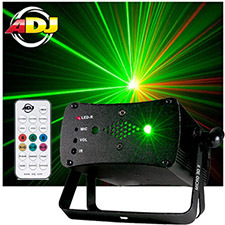 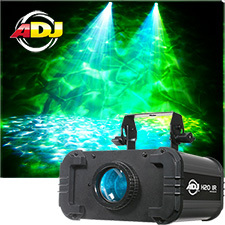 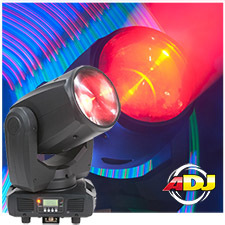 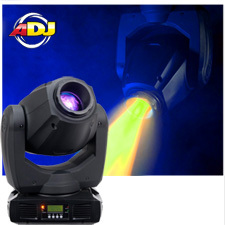 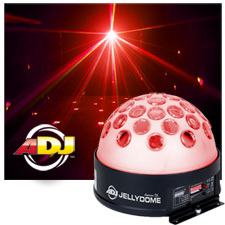 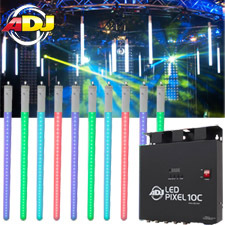 There are a variety of DJ Lights available that any DJ can use to enhance the musical experience. 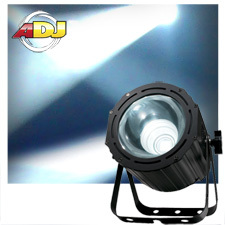 Which DJ Lights to choose can depend on the nightclub or location at which the DJ is providing the music. 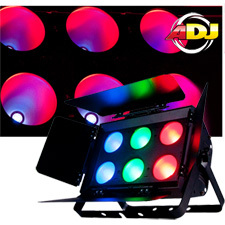 DJ lights for night clubs should be bright and project a celebratory atmosphere. 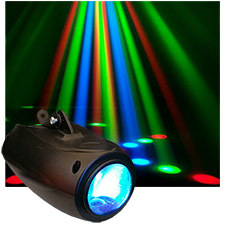 In night clubs people like to dance endlessly and have a good time. 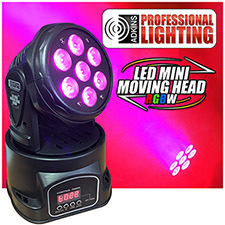 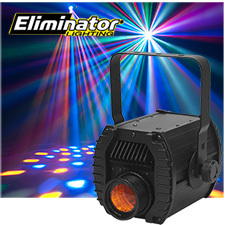 LED Moving Head Lights and scanners create a vibrant party effect that can be controlled to the beat of the music. 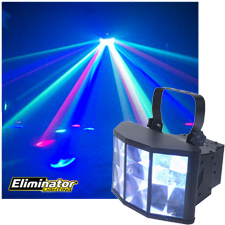 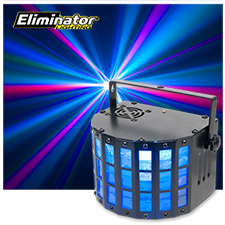 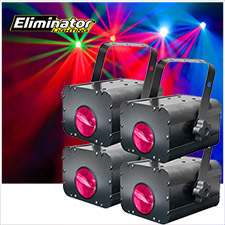 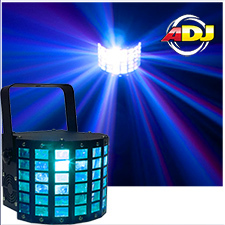 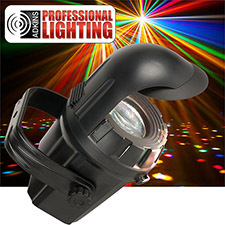 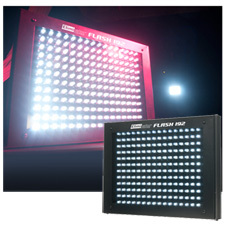 Another one of the popular DJ lights for the dance floor is the moonflower light. 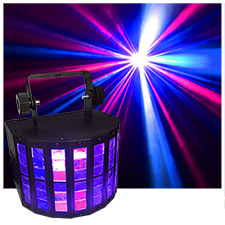 A moonflower light bounces and refracts light to create lively environments of color. 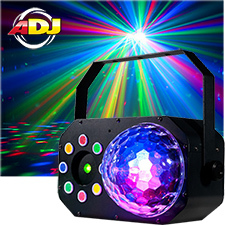 The most well-known type of moonflower light is the traditional disco ball. 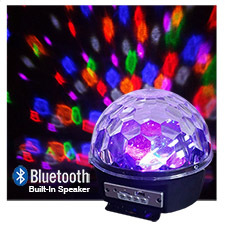 The primary advantage of the disco ball is that it can take a single stream of light and produce a myriad of bouncing lights off it. 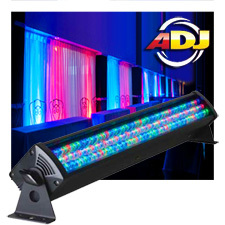 Light can then spin around and fill a room to create a stimulating and magical environment of color. 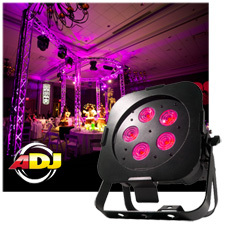 The use of several different kinds of moon flower lights can create multi-layered effects that can dazzle anyone on the dance floor. 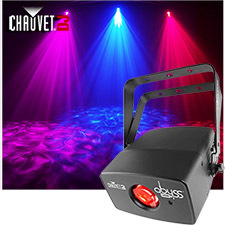 Today, similar lighting effects can be created with lasers which not only create this neat effect, but also create multiple trailing beam effects as they streak across the room. 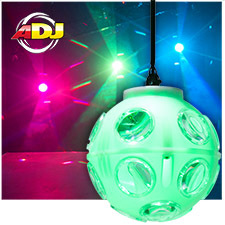 Another one of the DJ lights is the mushroom light. 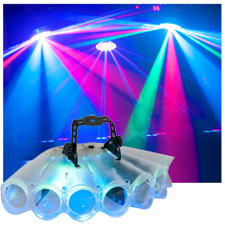 A mushroom light projects solid beams of light across the dance floor and can be used in conjunction with fill lights to add depth and texture to the lighting display. 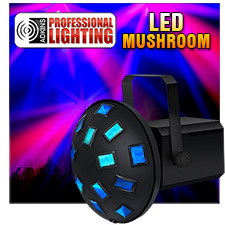 They can also be added to the use of stage lights as mushroom lights lose their intensity the further away one is from them. 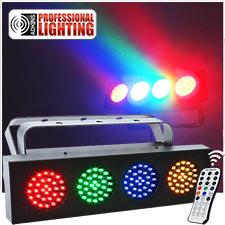 There are also smart or “intelligent” lights that can be programmed to move according to a pre-set pattern or in time to the rhythm of the music. 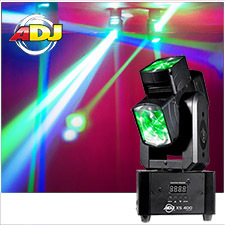 There are also strobe lights which flash intermittently and give a freeze frame or slow motion effect to the people on the dance floor that can add drama as well as entertainment to the dance floor. 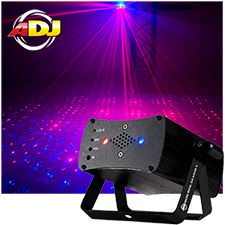 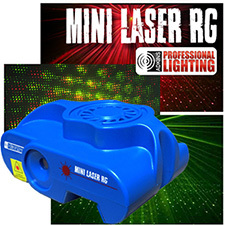 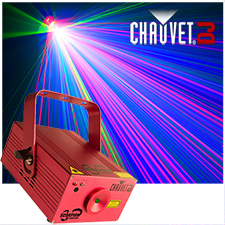 Laser lights are becoming more popular with deejays as they are a direct kind of light that can create special effects and are used in light shows with more broad types of lighting. 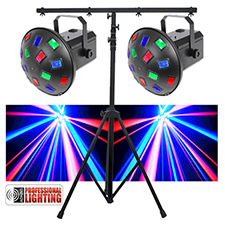 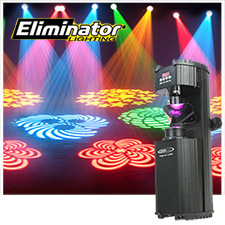 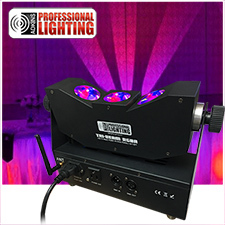 The best way to find out what kind of lights work best for either general use or night club dance floor lighting in particular is to experiment with different types of lights and determine what looks best. 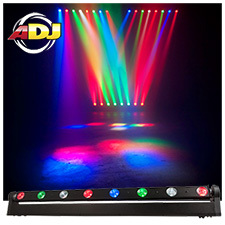 Listening to the music while experimenting with the lights is important as the lighting a deejay uses is designed to accentuate and extend the music that is being played on the dance floor. 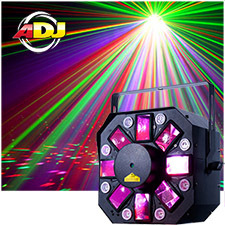 DJ Lighting Packages are typically two or more of each of some of our most popular DJ Lights which are combined in different arrangements to create various desired effects. 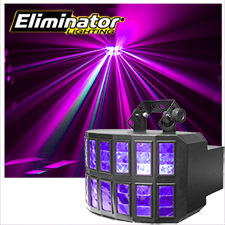 Full landscape effects are achieved with beamers while disco balls and moonflowers are good for filling dance floors with a great deal of light. 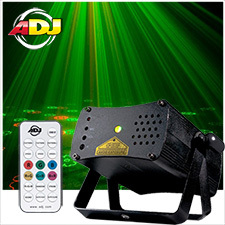 Any kind of light that can be set up to respond to the rhythm of the music can only enhance the musical experience.